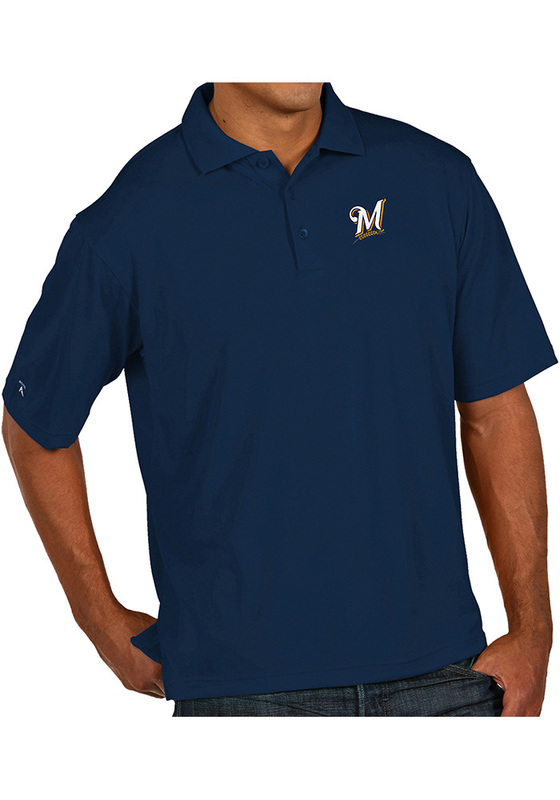 Showcase your Milwaukee Brewers pride at the office or on the golf course in this Antigua Navy Blue Pique Xtra-Lite Short Sleeve Polo! You'll look sharp in this Brewers Polo, which features a 100% polyester Desert Dry™ Xtra-Lite D2XL pique knit polo with contrast tipped flat knit collar, 3-button placket, side slits, and contrast insets at shoulder seam and side seams. Antigua patch at right cuff.. This Milwaukee Navy Blue Pique Xtra-Lite Short Sleeve Polo Shirt is the perfect update to your professional wardrobe.